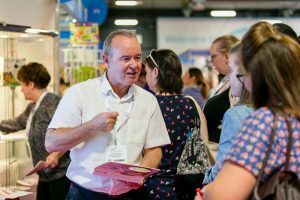 After exhibiting at Childcare Expo Midlands in 2016 our expectations were already very high. 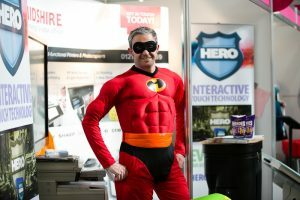 Childcare Expo London managed to surpass these expectations in every aspect. Yet again the support and guidance from Broadway Events was excellent but the key to any show is the number of visitors and the quality of the leads. We spoke with many potential customers during the 2 days and couldn’t have asked for a better response. 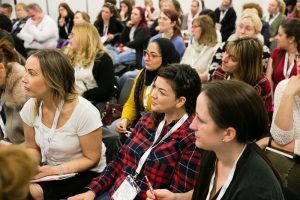 Childcare Expo has become an integral part of our plans and we are confident that with the help of Broadway Events we can make a real difference in this industry. Being an HR and Health & Safety provider, it’s important that we make sure we choose events where there is a natural need for our services. We find that at Childcare Expo we can easily talk to directors and business owners, meaning that our target audience is well represented. Its often the case that they bring along their managers too, meaning we get to talk to the people who will share these obligations ensuring a much more valuable initial conversation. 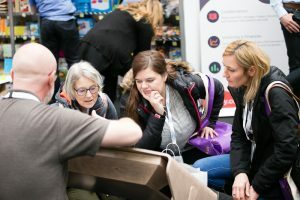 This was our first Childcare Expo and we were unsure of what to expect as our previous trade shows had been for the consumer. The volume of visitors and reception we received for our newly launched interactive children’s book range was tremendous. All the better that the attendees were professional childcare workers who gave us their opinions based on their own experience. We gathered lots of valuable leads using their Live Buzz scanning service. Broadway Events ran a very efficient show with friendly staff on hand to help during set-up and throughout the two-day event. We will certainly be including a regular visit to their regional Childcare Expo in our ongoing marketing activity. Upon entering the arena it was clear that the expo was extremely popular. There were people everywhere and an exciting buzz in the atmosphere as people shared their knowledge and experiences. The workshop area was a central place and attendees were congregating with hope and expectation. My movement workshop was very practical and I selected a group of delegates to join me, while others watched and participated from the surrounding area. 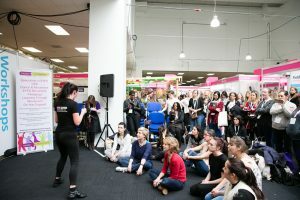 During the Bollywood section of my workshop, many people were peeking over others excitedly to see what was happening, at one point everyone, as far as my eye could see, were joining in with the dance routine. The organisation and running of the event was very well managed by the team, thank you for a wonderful event. 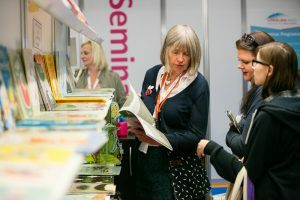 Attending Childcare expo reminded me that I am part of a much bigger and wider community of Early Years practitioners, that each and every one of us was passionate enough about what we do to travel to London off our own backs to improve the life chances of the children we teach. I would recommend attending, if only to remind yourself that you are not alone in this sector, that you don’t need to work in a bubble and that there are lots of people out there just as willing to get covered in glitter, pretend to eat a playdough cake, talk seriously to a puppet and sit on the tiniest of chairs as you are. Midshires attend many exhibitions throughout the country in different fields. As a very large technology company, we have a very varied field. I can honestly say your event is one of the best we have attended. We have booked up for all your upcoming events, and should you decide to host any other events, including day shows, please contact me as I would welcome your contact with a view to booking forthcoming events. Thank you for such a brilliant and well-organised exhibition. The quality and content was superb. Organisers were very welcoming and organised. Thoroughly enjoyed workshops and have already shared information with colleagues. Excellent variety of stands/stalls. Next time I will arrange to spend longer at the expo to experience the seminars. Many thanks for a super day. 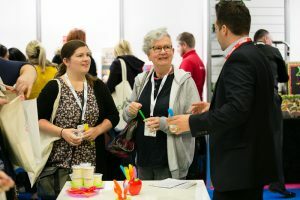 Childcare Expo has grown from one small regional show in Coventry in 2010 to a three-show nationwide franchise in 2017, with additional shows in London and Manchester. We have been sponsoring it since the beginning and have not for one moment doubted the value of our investment. It is the premier Expo for the Childcare sector and we are enormously proud to be part of it. 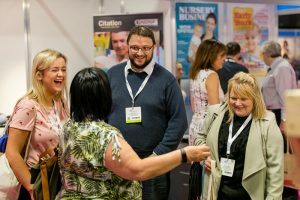 Emma and her team have built Childcare Expo from nothing, they look after their exhibitors extremely well and the numbers through the door increase year on year. A fantastic success story. I attended my first Expo this weekend and have thoroughly enjoyed it. I bought several great new resources from the wide range of suppliers present, got lots of valuable information on projects I had earmarked as priorities for further improving my practice. I attended 2 of the seminars and found them both very informative, made lots of notes and plan to put the ideas into practice in the near future. The venue was great, easily accessible and only an hour’s drive from where I live. Car parking was easy and cheap. All in all a very positive experience. 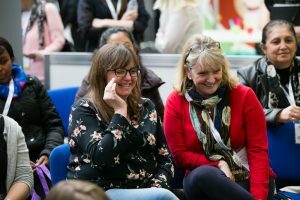 Childcare Expo Manchester 2017 was another highly successful event for Child’s Play. This is the first time that we have exhibited in Manchester and we were delighted with the response from the visitors. The marketing, as ever, was very well targeted and the calibre of the visitors was excellent. We have rebooked for next year. 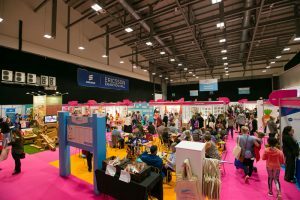 On a recent visit to Midlands Childcare Expo I was struck by how differently I now feel towards the Childcare Expo brand and its events. 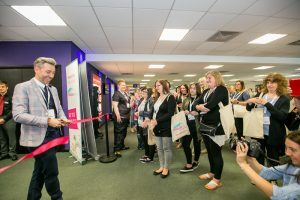 As I am now a regular blogger for Childcare Expo, I felt very much a part of the team and I almost felt a little bit important (though very much a small fish in a big pond) as I walked around and spoke to people whom I have previously networked with thanks to these fabulous events! 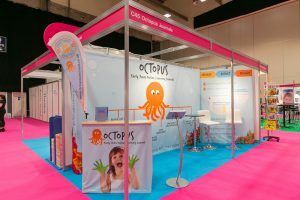 Childcare Expo Coventry was our first Childcare Expo exhibition, and we were extremely pleased with the outcome. 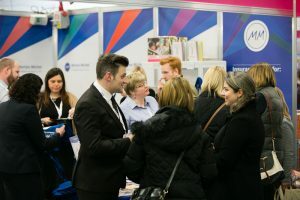 The informative, friendly and helpful staff were great in helping guide us through the initial set up and provided us with additional industry knowledge and networking contacts – We are already preparing for Childcare Expo London! The audience at these events is fantastic, market specific and has generated a number of positive business leads. We are sure that with the help of Childcare Expo, we are going to take the Early Years Sector by storm! YPO provides everything an early years setting would require. Childcare Expo gives us a fantastic platform to engage with our customers and promote our products and services. The delegates at each event are of high quality and the contacts we make are key to developing our business in the Early Years sector. We have already committed to exhibiting at future shows and look forward to working with Broadway Events again.